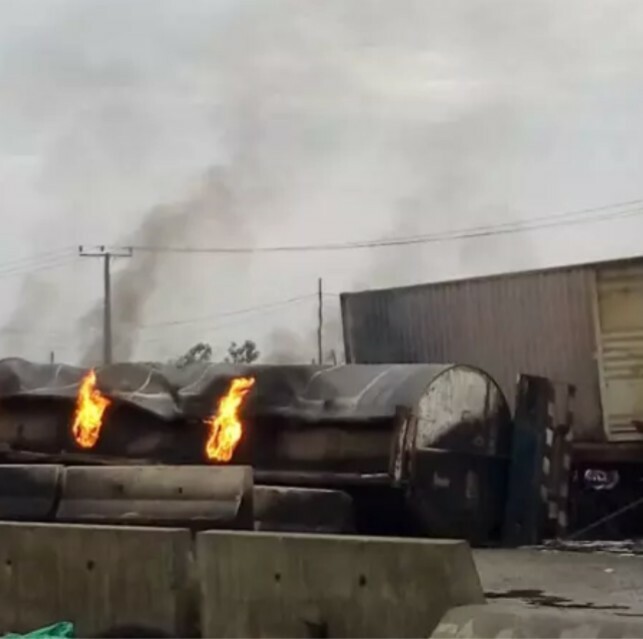 At least 3 people have died and several cars were burnt after a tanker fell and exploded at Ojo Barracks, along the Lagos - Badagry express road. According to reports, the accident happened in the wee hours of this morning, at about 3 am. An eyewitness claims that more than 3 people died in the tanker explosion. A container carrying generators was also caught in the fire. Cars with goods were burnt together with the contents. 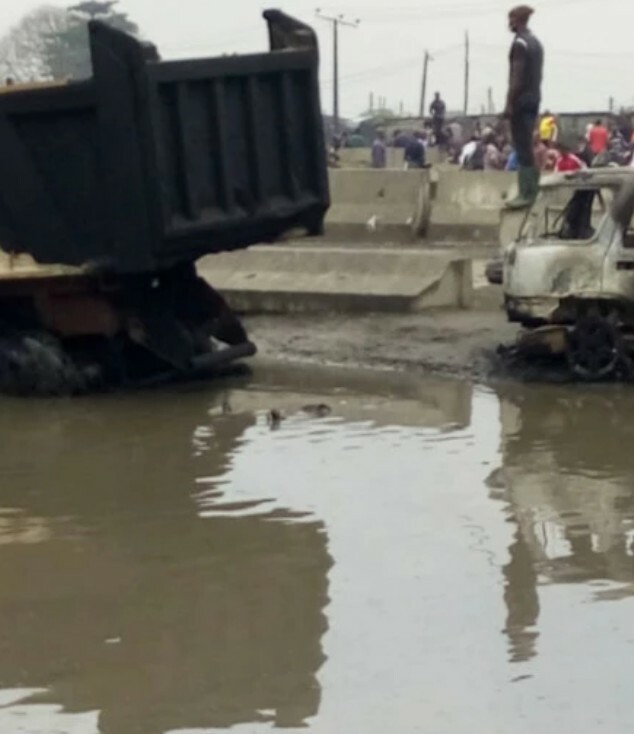 Occupants of the cars plying that route who tried to escape the fire fell into the rain water, already made hot by the fire, and they were scalded to death. One of the containers near where the tanker fell was carrying generators and they caught fire. A car carrying cartons of fish caught fire too.